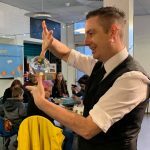 Exciting updates on the Co-Innovation! 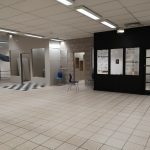 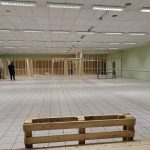 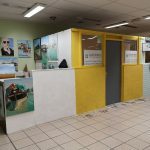 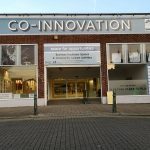 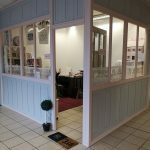 The Co-Innovation project is getting more and more interest every single day from aspiring business owners, crafters and local small businesses looking to grow. 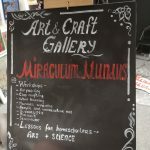 With our brand new signage and artwork by local artists adorning the front of the building, it is now attracting a good amount of passing foot traffic (especially on Market days). 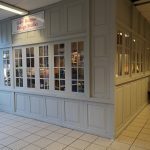 More shops being built all the time! 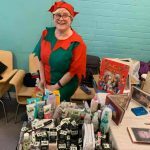 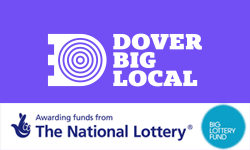 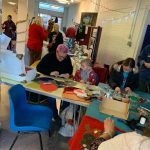 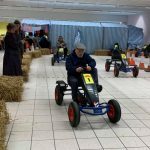 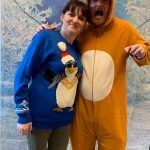 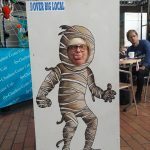 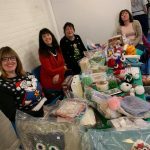 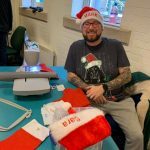 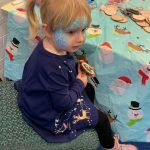 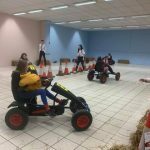 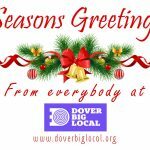 Between Monday 17th and Friday 21st December 2018 Dover Big Local, working with Dover District Council Community Development Team, brought loads of Christmas fun to Dover! 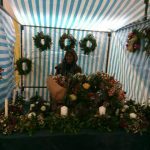 There was a week-long Christmas market selling all sorts of goodies from wreaths and embroidered stockings to vintage clothing and jewellery. 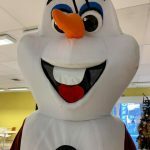 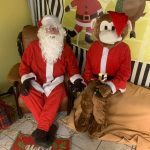 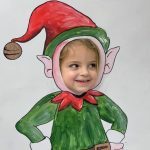 Santa and Olaf were in attendance all week with Santa storytime Monday to Thursday afternoon, then meeting children all day in his grotto on the Friday along with his cheeky monkey causing trouble! 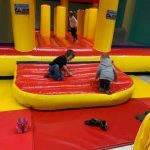 On Friday our ‘Big Play’ items arrived which included a huge bouncy castle/maze and peddle go karts. 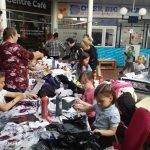 We had lots of people attending each day with our busiest day being Friday, due to most children being broken up from school by then. 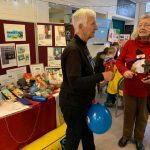 We would love to thank everyone who has attended all of our events in 2018 and we look forward to seeing you at our events in 2019…. 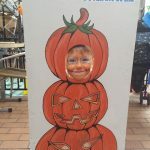 we are planning on having even more! 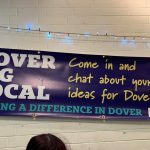 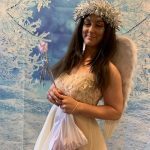 On Saturday 1st December 2018 it was the Dover Christmas light switch on event and festive fun was had by all! 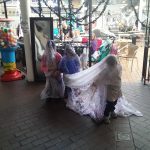 There was entertainment throughout the town with street performers and market stalls. 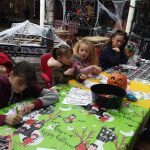 The market square itself was packed with children’s rides and traditional fairground stalls. 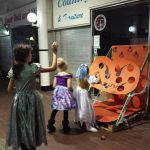 There was also live entertainment on the stage with performances from Dover Youth Theatre, Robbie White, St Edmunds School Choir and more. 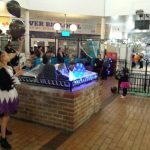 A Chinese Lion and Dragon Dancing entertained the crowds before Councillor Susan Jones, the Dover Town Mayor switched on the Christmas lights along with Kung Foo Panda! 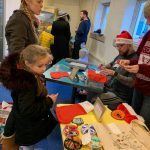 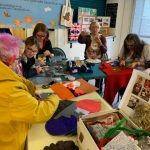 Whilst all of that was going on, we were hosting our own special festive workshop inside the Dover Discovery Centre. 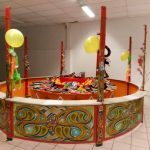 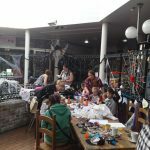 There was wooden decoration making, face painting, personalised stocking embroidery, the DBL stitching group, a magician and more! 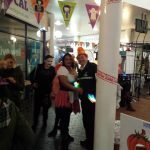 Plus Olaf and our very own fairy were walking/flying about. 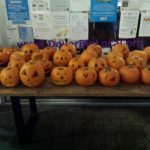 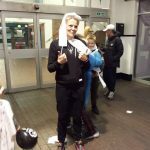 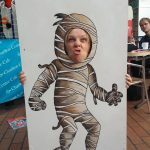 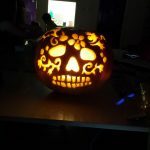 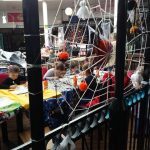 Spooky goings on at the Dover Big Local Hub! 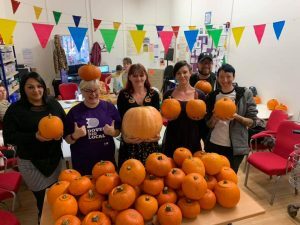 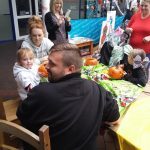 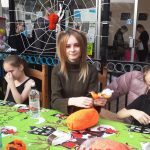 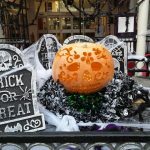 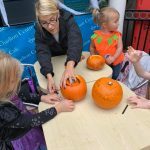 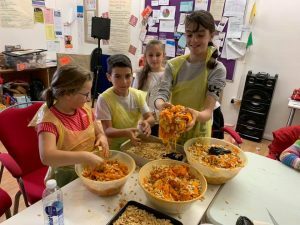 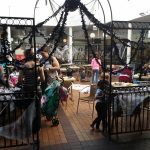 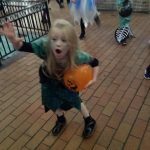 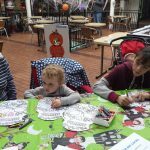 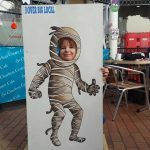 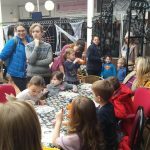 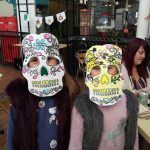 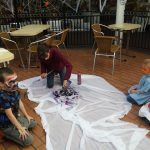 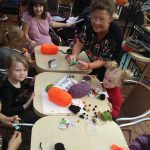 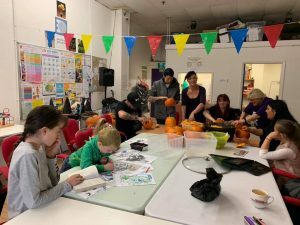 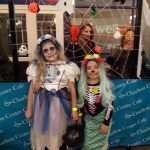 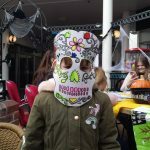 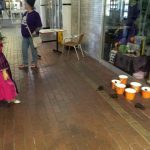 During the October Half Term, Dover Big Local organised activities for children that were not only creative but fun and a little bit scary. 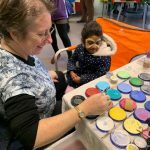 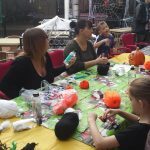 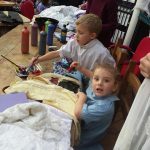 On Monday Children made pom-poms, on Tuesday there was loads of fun to be had with scary mask making and bunting creating. 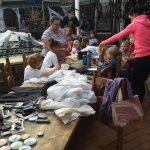 Wednesday was the costume making and face painting day which lead to some very interesting make-up ideas. 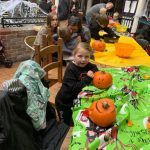 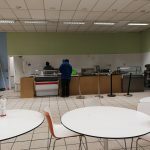 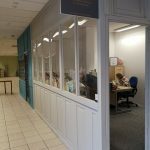 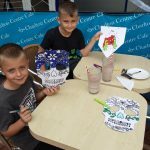 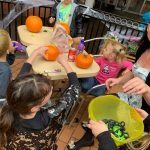 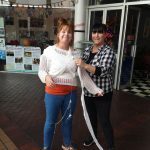 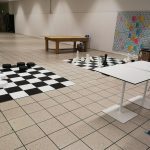 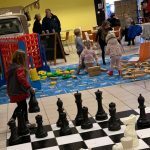 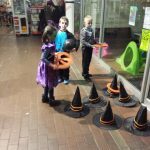 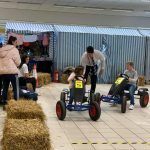 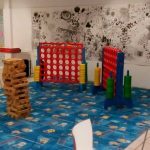 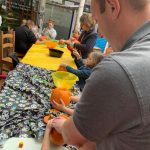 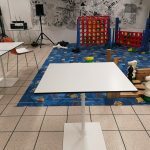 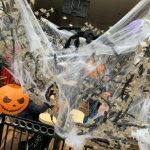 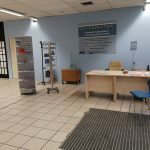 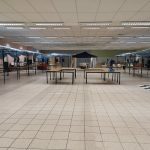 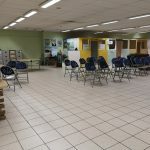 On Thursday there was a Town Treat Hunt where Children had to find certain items throughout the town hidden within twenty local businesses and there was a craft table in the DBL Hub. 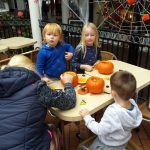 Friday was the big day with pumpkin carving in the afternoon with over 80 children carving out funny faces and scary designs. 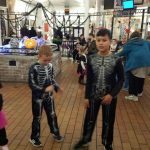 Then the week of fun culminated in the Halloween disco, which proved a huge success with 74 children partying away and their parents enjoying hot drinks & pumpkin soup. 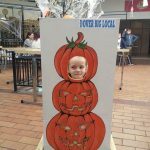 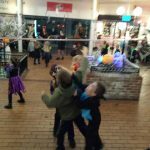 The evening ended with a pumpkin parade with children and parents parading their carved pumpkins down to the Market Square. 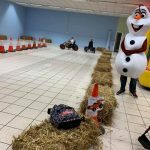 The week was a massive success with an average of 45 children each day enjoying the free activities during the daytimes and we hope to hold more free fun activities during the Festive holidays as well. 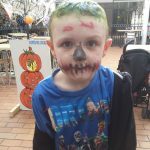 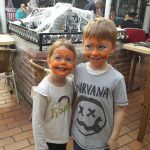  There have been so many smiles this Halloween half term week, are you in our gallery?